I listen to Ben Shapiro’s podcasts/radio shows on occasion, and I recall him saying that he wasn’t focused on Hillary Clinton’s failing health because he felt that that issue wasn’t something that swayed voters. I disagree with him just based on how human beings behave. Just as you wouldn’t buy something that didn’t last a minimum amount of time, a voter doesn’t want to elect an official with the same deficiency. And while a the political Left may never be swayed, the important middle of Independents might be. 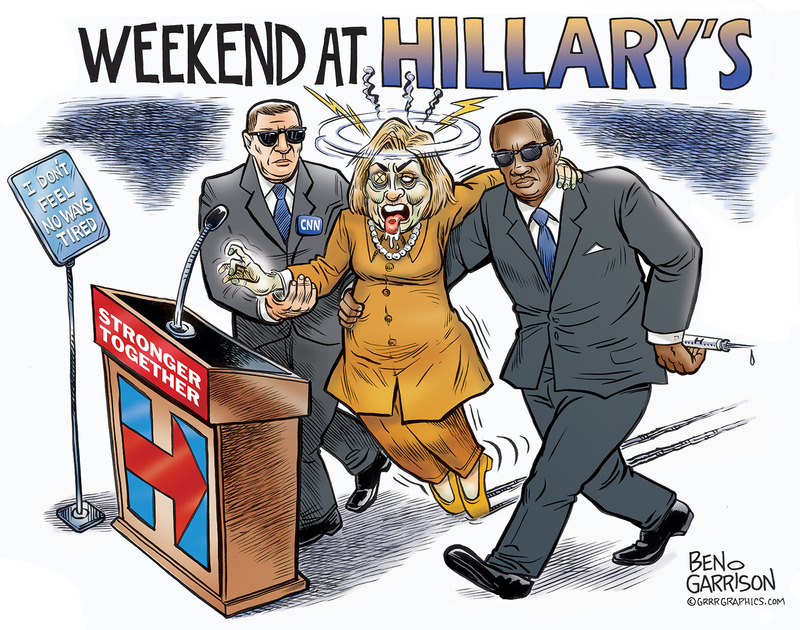 At the very least, Hillary’s declining health might convince her supporters to stay home. As I argued in my last post, Leftists don’t like to be outed as hypocrites. And while the focus on John McCain’s health as a crucial factor in whether or not to vote for him has largely dissipated from public discussion, the political Right haven’t forgotten it. And in the age of the internet, it’s easy to “remember” the past in very vivid detail. So the strategy here should be to hold Leftists to their own arguments and see which crumbles first: their support for Hillary Clinton or their deeply ingrained ideology. Presidential candidates come and go. Ideology is forever. While the video doesn’t capture everything, we can clearly see her legs buckling while on the curb. Then seconds later it looks like she has completely collapsed and secret service are literally dragging her lifeless body into the vehicle. There are reports that she lost her shoe underneath the van and that it had to be fetched. Unreal! McCain never had a medical episode during his campaign. And this is a guy who suffered unspeakably under torture and who still suffers to this day because of what he endured physically. But the medical episode that the Left salivated for never happened. And yet, now we do have a Presidential candidate that is falling apart before our eyes. It’s time for the Hillary-supporting political Left to answer a question: If you claimed health was import eight years ago for a Presidential candidate but are still supporting Hillary Clinton today, then were you lying then or are you lying now? 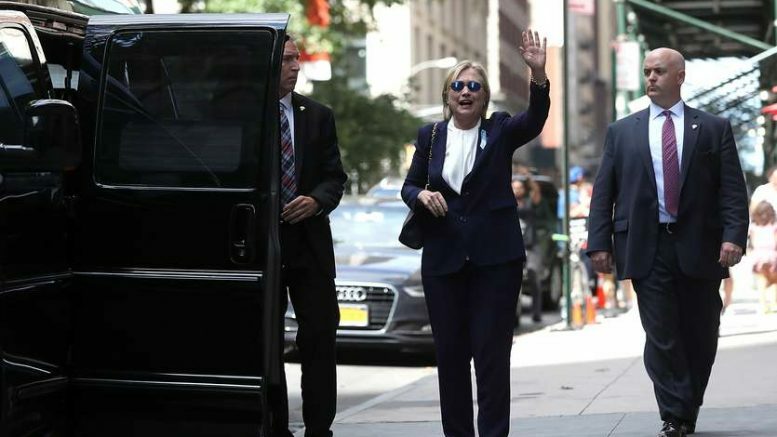 Be the first to comment on "Hillary Clinton Medical Episode at 9/11 Memorial"